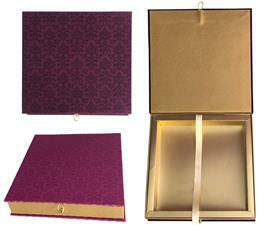 Wedding cards and boxes can browse online from our store to mesmerise your esteemed guests. 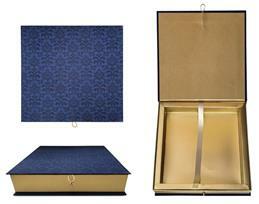 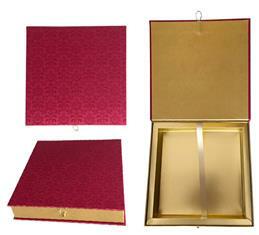 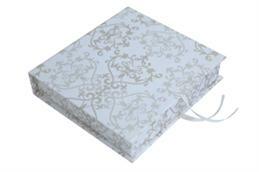 The best feature of these exclusive made boxes is that they can be mold into any desirable shape and size. 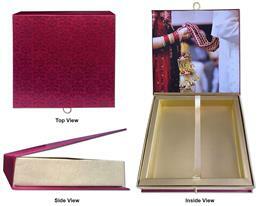 Not just this but the major specialty in case of beautiful rich textured shimmery sheet, card stock texture sheet and handmade paper lies in the fact that they can be given attractive pattern and can be designed beautifully as per wedding theme. 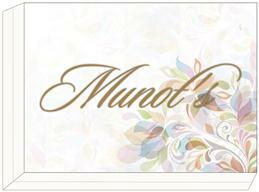 As far as printing options are concerned then the most adorable trend to bearing personalized names of prospective bride and groom, motif of your wedding and your initials and symbols. 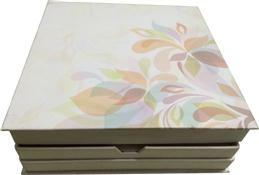 Along with this, we offer numerous printing options to mark identity and impression of bride and groom on the top of boxes for sweet and cakes as required.. 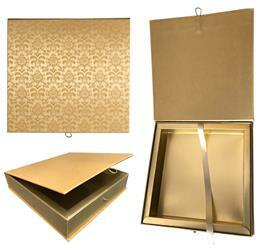 These boxes and designs are truly a classic way to express one's joy. 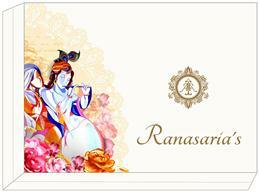 In fact, there are many auspicious occasion of different functions and culture in this world that can not celebrated without mouth watering delicious sweets and cakes. 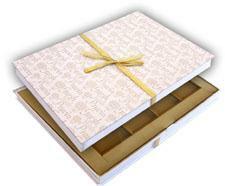 We at universalweddingcards.com provide you an extensive range of cake and sweet boxes right from decent, simple and plain to customized and designer exclusive boxes that are ideal for serving your purpose. 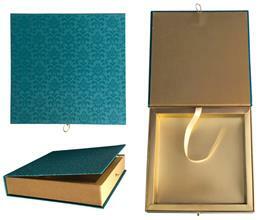 These boxes are unique and different with its trimmings including beautiful laces and ribbons, unmatched and relentless quality control, superior printing, on time order delivery and quality check process are some of our qualities that our clients most appreciate. 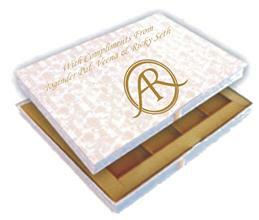 For truly special and unique customized cake and sweet boxes, we are here to help you to choose and select them to make it look in harmony with your wedding invitation card. 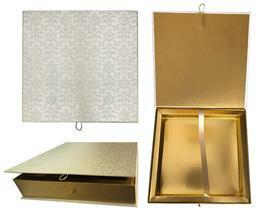 Check out our collection right now to pick the best sweet and cake box to match your wedding theme and imagination.